This two-year vocational course combines theory with workplace learning and live projects such as weddings and commercial events. You can gain an honours degree with an additional year of study. With its exciting focus on real-world learning in the workplace, our two-year FdA Culinary Arts is the ideal choice for aspiring professional chefs and restaurant managers who want a fast track route to success. With demand for well qualified chefs and hospitality managers running at an all-time high, our FdA Culinary Arts gives you a strong foothold on the career ladder. In just two years, it equips you with high-level technical skills, in-depth product knowledge and the right professional outlook for success. Practical hands-on experience is central to this foundation degree, which is designed in close collaboration with employers. You will undertake work-based learning and integrated work placements to help you apply the theory to real-world scenarios. Experiencing both the food service and the food production sides of culinary operations, you will also develop invaluable skills in areas such as customer relations, problem-solving, team-working, communication, critical thinking, supervision and leadership. At the end of the two years, you can choose to leave with a well-respected FdA qualification or – if you have a minimum of a merit profile – can progress to the final stage of our BA (Hons) Professional Culinary Arts. From the outset of your studies, you will find yourself working in a fast-paced opperational environment. 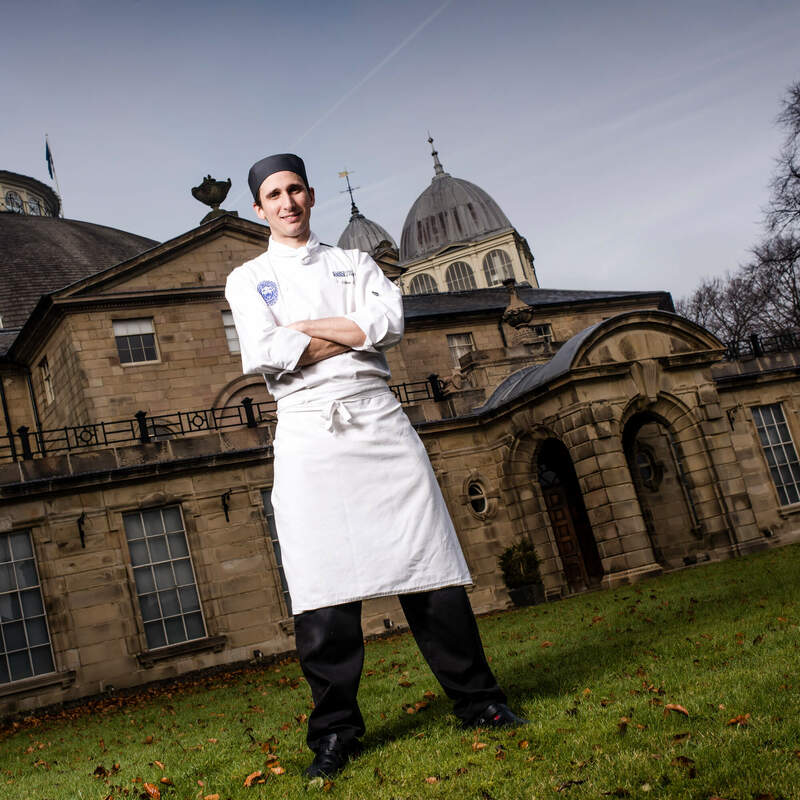 Under the supportive guidance of our chefs, you will develop your culinary repertoire in the magnificent surroundings of the grade II* listed Devonshire Dome at our Buxton campus. The Dome is a popular venue for dining and events, featuring a fine dining restaurant, a bistro and two licensed bars. We have seven state-of-the-art kitchens – including a induction powered kitchen reflecting latest industry trends – plus mobile equipment for off-site events and pop-up restaurants. Throughout the FdA Professional Culinary Arts, you will deliver, supervise and manage fine dining, off-site catering and event catering. One of the highlights of the year is the Buxton graduation ceremony where you will work alongside our Events and Hospitality students to plan, host and cater for guests. Other real-world projects will see you working with national hotel chains, international corporations and Peak District food producers, breweries and restaurants. Our students have, for example, organised real ale campaigns and devised food heritage trails. Our networks include Michelin-starred restaurants and luxury hotels, paving the way for you to enjoy professional mentoring, employer-led projects, placements and internships. A period of work placement is compulsory on the foundation degree and you can undertake this as a paid employee or in a voluntary role. In the past, our students have secured coveted placements with the likes of Gleneagles, Claridge’s and Links House Hotel at Royal Dornoch. There are opportunities for overseas placements too, including with Loews Hotels and Resorts in America. Such experiences often lead to full-time jobs when you graduate. A residential trip is included in the course fees for both years of the foundation degree. Our latest fieldtrip to London took in tours of the Billingsgate and Borough Markets as well as hotels such as Marriott Park Lane and Le Méridien Piccadilly. We have also visited major events like the Food Show in Birmingham. There are optional international fieldtrips too, with Tuscany, Normandy and Iceland among latest destinations. They give you the chance to explore food, drink and hospitality from a different cultural and sociological viewpoint. On their trip to Florence, our students saw how parmesan cheese, balsamic vinegar and authentic pizzas are made, taking in a Tuscan vineyard visit too. Can you build on our students’ outstanding performance in national competitions? There are many opportunities to try! Taking part in national events and challenges is a great way to get yourself noticed. Our students have made their mark in events such as the Country Range Student Chef Challenge, Zest Quest Asia and the Council for Hospitality Management Education (CHME) Young Guns competition. We have even reached the finals of the Toque d’Or, the UK catering industry’s most prestigious competition, three times. We are proud of our strong partnerships with leading professional bodies. Our FdA Professional Culinary Arts is accredited by the Institute of Hospitality, which means your learning experience will be high quality, relevant and up to date. Through the Institute’s Educational Membership Scheme you will also be able to join local branch events. Our Industry Networking Day is a key date on the calendar, where you can connect with leading figures from the profession. Some of our students have even presented at international conferences, showcasing their knowledge to their academic peers and industry representatives. When you join us, you will automatically become a member of hosco, with access to around 30,000 graduate roles, internships and work experience opportunities from over 1,500 employers. The FdA Professional Culinary Arts offers an exciting mix of lectures, demonstrations, workshops, tutorials, seminars, applied practice sessions small group exercises and guided study. You’ll be assessed in a number of ways including written assignments: essays and reports, practical assessments, oral presentations, posters, industry and problem-based case studies, examinations, individual and group work on the University’s virtual learning environment. Non-UCAS tariff based Level 3 qualifications from subject related areas may also be considered for entry, eg NVQ/VRQ in Professional Cookery or other related subjects. Our FdA Professional Culinary Arts graduates are highly employable precisely because the course offers such a powerful combination of academic knowledge and hands-on experience. It means you can look forward to career opportunities in a wide range of settings nationally and internationally. These include cruise ships, clubs, event businesses, hotels, independent and branded restaurants, contract catering, private houses, the armed services and food production enterprises. You could progress to roles such as chef de partie, pastry chef, assistant kitchen manager, off-site catering chef, production chef or development chef – to name but a few. Some of our graduates have also drawn on the entrepreneurial skills they gained during their studies to launch their own hospitality enterprises, including a gastropub and craft brewery, an off-site catering venture and a celebration cake making business. A significant proportion of our students choose to ‘top up’ their foundation degree to a full honours degree. This option is open to any FdA graduates who have engaged actively in their studies, have taken part in extra-curricular activities to advance their professional development, and have attained at least a merit classification. Find out more about our BA (Hons) Professional Culinary Arts (Top up). Once you have your honours degree you can also consider progressing to postgraduate studies in related subjects, including our own MSc International Hospitality Management which prepares you not only for senior management but also for roles in academia and research. This support continues once you’ve graduated too: you are entitled to further help and guidance for up to three years after leaving the University. This includes signposting towards internships which you can undertake on completion of your degree and which often lead to job offers. You can also take full advantage of the hosco careers network to discover opportunities and share good practice with other professionals.